This Math Picture Puzzle is for kids who has learned basics of the Mathematics. This is not a hard Math Puzzle and can be easily solved by anyone who knows basic Algebra or Arithmetic. 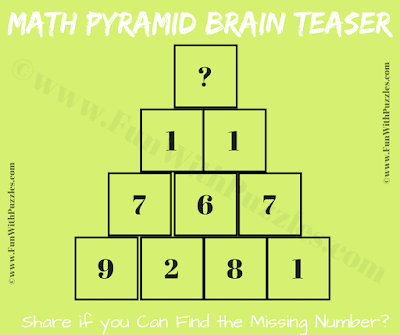 Lets see if you can solve this easy Math Pyramid Brain Teaser? 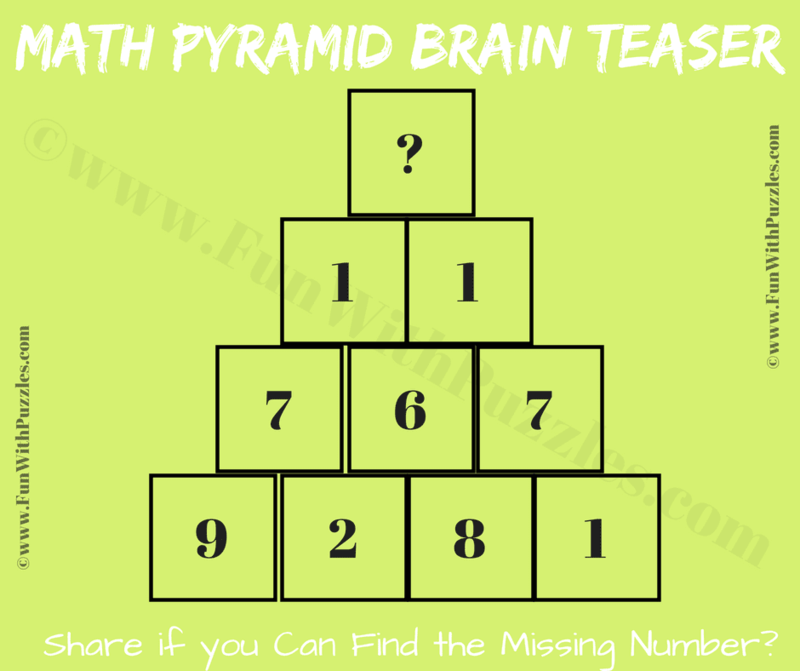 Can you find the missing number at top of the pyramid? Answer of this "Maths Picture Puzzle for Kids", can be viewed by clicking on answer button. Please do give your best try before looking at the answer. Going from bottom towards the top of the pyramid, subtract the numbers in the adjacent cells to get the number in the next row cell.